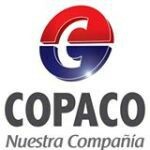 Paraguayan state-run telecoms operator Compañía Paraguaya de Comunicaciones (Copaco) delivers fixed line and long distance telephony solutions. Its services include basic, corporate, public, and GSM fixed wireless telephony. The company acquired mobile operator Hola, which operates under the Vox brand, in July 2010. With the purchase - which included network infrastructure, licenses and facilities - the operator took a step toward offering triple-play services. Later, in 2012, it started to offer IPTV services. Copaco was founded in 2001 and is based in Asunción. Optical fiber cables and optical distribution systems adapted to this technology for the presentation of the Internet service. The memory capacity for each email account is 20 Mbytes. Additional email accounts will cost 8,000 Gs / month (VAT included). Law of Connection: The Right Connection service is given by the cost of installing fiber optics, quoted by current Tariff Provision for installation of fiber optics as last mile access. MIR: Maximum bandwidth available committed bandwidth CIR: 17% MIR includes Domain Hosting, Web Hosting includes 10M memory capacity for each email account is 20 Mbytes. Additional email accounts will cost 8,000 Gs. / Month (VAT included). Rate (including VAT) Public IP: $ 5 / month (including VAT) per IP address. Instalacón cost Fiber Optic : For distances up to 5000 meters ...... $ 400 per link of 1 hair fiber. For distances greater than 5000 meters ...... 400 USD + $ 0.3 per Metro over 5,000 meters, 1 per link hair fiber. The distances are measured from the customer premises to the nearest central COPACO given by the path length of the fiber. Rate (including VAT) temporary disconnection of service : Monthly subscription for downtime ........................ 60,000 Gs. Maximum period of shutdown of three months within the same year. Over time temporary disconnection request, the service will be enabled automatically with the application of normal monthly subscription fee, except that the client requests in writing the final disconnection of service. Requirement: keep up with paying their bills.